Page view compliments of Meisinger USA, L.L.C. Luster for lithium disilicate Adjusting and Polishing Kits contain re-usable burs indicated specifically for lithium disilicate restorations. The kits are designed for the adjustment of lithium disilicate restorations, including those produced with in-office CAD/CAM systems. The LUS100 kit is for intra-oral use and the LUS80 kit is for extra-oral use. Both kits include a two-step diamond impregnated system allowing clinicians to polish the material using first the red polisher and then the gray to leave a high shine. Both kits are presented in autoclavable anodized aluminum bur blocks. The extra-oral kit includes an adjusting wheel and barrel, and red and gray polishers in wheel and point shapes for use in a straight handpiece. The intra-oral kit includes three friction-grip diamonds for adjusting and red and gray latch-type polishers in cup and point shapes. Luster for lithium disilicate was evaluated by 18 consultants in 334 uses. 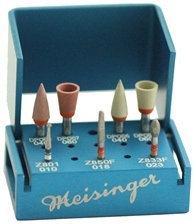 This porcelain adjusting and polishing kit received a 92% clinical rating. The availability of Luster for lithium disilicate in intra-oral and extra-oral kits provided consultants with everything needed for adjusting and polishing of lithium disilicate restorations. 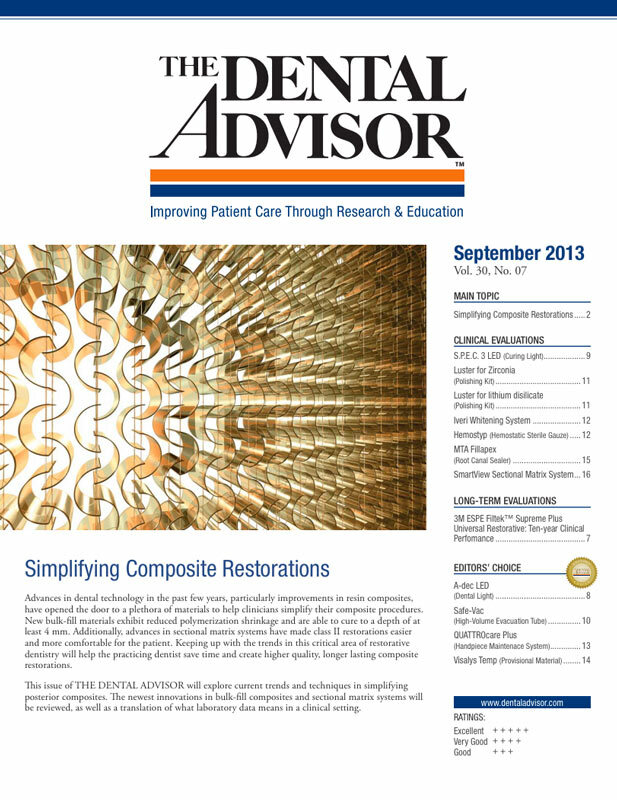 The lab/chairside combination is ideal for CAD/CAM restorations. Adjustment burs are efficient, and the diamond-impregnated polishers bring a glossy high shine to the porcelain surface. More durability of the polishers was desired by consultants. After use, the bur block, which keeps the instruments well-organized, can be sterilized. Forty-four percent of consultants reported that Luster for lithium disilicate was better than the adjusting and polishing kit they were using and 44% reported it was equivalent. Seventy-eight percent of consultants would switch to Luster for lithium disilicate and 89% would recommend it.